Incorporating a minimalist approach into your logo design spares your consumer the clunky, gaudy design of your less sophisticated competitors and solidifies your place as a contemporary brand. But what is minimalism, exactly? Minimalism is a design approach that utilizes existing elements, maximizing simplicity and capitalizing on space. The technique is found across creative mediums from visual arts to music and literature, and of course, in design of all kinds. The minimalist way may seem effortless, but don’t be fooled into believing that it is empty or boring. While minimalist methodology subscribes to a “less is more” approach, the strategic use of restraint can produce serious impact. Nowhere is that truer than in creating a symbol of your brand. Minimalism as an artistic concept didn’t come about until the 1960’s and 70’s, though its roots extend much deeper and span many cultures. Japanese design gives us a glimpse into the earliest forms of intentional minimalism. 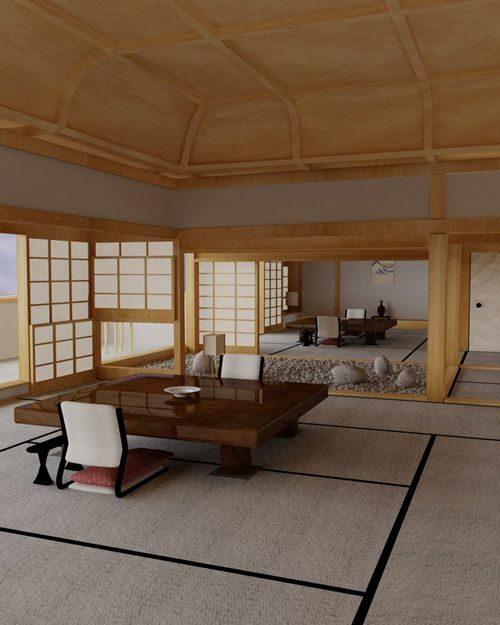 The Japanese subscribe to the concept of ma, which roughly translates to “the space between objects.” This clean aesthetic can be found in home and outdoor design, architecture, and fashion (think: Zen gardens and pristinely tailored kimonos). The Dutch have also been big players in minimalist design. Between 1917 and 1931, painters Theo van Doesberg and Piet Mondrian—along with architect Gerrit Reitveld)—led the De Stijl (Dutch for “The Style”) Movement, a design aesthetic that embodied an abstract harmonic design relying on primary colors, space, and geometrics. These characteristic live on today as the foundation for the modern minimalist aesthetic. The Germans get credit for “less is more.” The author of this minimalist sentiment was Ludwig Miles van der Rohe, a German architect who was a notable player not only in establishing key principles of minimalism, but of modern architecture as well. Much of his design was centered around clarity and open space. In the early 1900’s, during the infancy of modern business and branding, company logos weren’t fancy, just a quick way of communicating a brand name to consumers. Bet you didn’t recognize this Pepsi throwback! Early logos were usually nothing more than the business’s name in a popular font of the time, sometimes encased in a simple geometric shape. But as consumerism rose and the fight for the customer picked up speed, companies began to put more brainpower into branding and the importance of customer recognition. This lead some companies to adopt clunky, kitschy logos in attempts to set themselves apart. These logo designs are reminiscent of that picture of your mom from the 80’s with frizzy, permed hair and electric blue eyeshadow—an endearing blast from the past, but best that it’s evolved. To keep up with the times, many companies eventually modernized their logos, which really means giving them a minimalist makeover. Ford is a great example of a long-standing business that has remained true to its roots while bringing its logo into the 21st century. Le tout premier logo de Ford en 1903 — un design complètement dépassé en comparaison à leur logo actuel. Le logo actuel de Ford, adopté en 2003. Always on the forefront of technology Google has the same standards with its logo design. The company is strategic about modernizing when rebranding. They work to maintain customer recognition while evolving their brand. They’ve done this by updating their font—a small shift that makes all the difference. Google a une idée très précise de leur marque. Ça ne les a pourtant pas empêchés d’effectuer une refonte de leur logo quand cela s’est avéré nécessaire. On retrouve les mêmes grosses lettres en couleurs vives, subtilement modernisées grâce à l’utilisation d’une police plus sobre. You can utilize your company initials or a shortened version of the name to make your logo short and sweet. If you have a cluttered logo, this is an actionable way to clean it up. Ce long logo asymétrique fait vraiment penser aux années 70 — et pas en bien. McDonald’s has significantly toned down its logo over the last 75 years, eventually landing on the signature golden arches and red background that are recognizable around the world. Choosing a symbol to represent your brand can be another route to creating a unique, minimal logo. Keeping to their roots while staying both on brand and on trend, companies like Ford, Google, FedEx and McDonald’s have smoothly transitioned through the ages. They either returned to their minimalist roots with a modern twist and or gave their once heavy-handed logos the minimalist treatment to make them more attractive. Space and simplicity are the minimalist keywords, but taking advantage of these two elements isn’t the only things you can do to incorporate this style into your design. Finding a clever way to relate the elements of your logo is also a great entry into minimalism. This logo for MVO uses all three letters creatively to form what at first glance looks like a fancy letter ‘M’ with a circle around it. The designer found a wonderful way to marry the letters in a simple fashion. Consider playing with existing elements in your logo or company name to find a unique—and simple—way to communicate the essence of your brand to your customers. Don’t be afraid to utilize color and symbolism, too! Using something that’s symbolic to your brand can contribute to brand recognition down the road. The Sage Rituals logo incorporates colors that represents peace and well being—ideal for the wellness collective based in Joshua Tree, CA. The logo makes sense without feeling heavy handed. It’s minimal and unique. Use typography to your advantage. They may just be letters, but you can bend and shape them to make a beautiful typeset that works for your brand. You can take elements away from letters like lines (see the “A” in the Sage Rituals logo) and dots or give a letter a tweak like the line in the ‘T’ in the StreetFood logo below. If you plan to use initials or your full company name in your logo, this is a good way to stay simple but different. It may look simple, but a less-is-more approach to logo design often requires quite a bit of trial and error before you hit upon a logo that feels right to you. When in doubt consider the logo journeys of the companies that have come before you and remember that you’re not alone—many small business owners are also hoping to make their minimalist logo dreams come true. These small businesses found their minimalist logo nirvana. You can, too! Want a minimalist logo for your business? Launch a logo design contest today! Tara Crutchfield is the founder and writer at Vibecopy.com. She’s an adventurer, entrepreneur and over-thinker. When she’s not writing until her fingers want to fall off–you’ll likely find her connecting to her southern roots in the kitchen, cooking up something that’s so bad for you, but oh-so-good to eat! She finds happiness in animals of any variety, a whole bottle of wine on occasion and way too serious games of monopoly with her husband. Interesting article. We can observe that many of well-known brands choose minimalism as the right way to evolve.